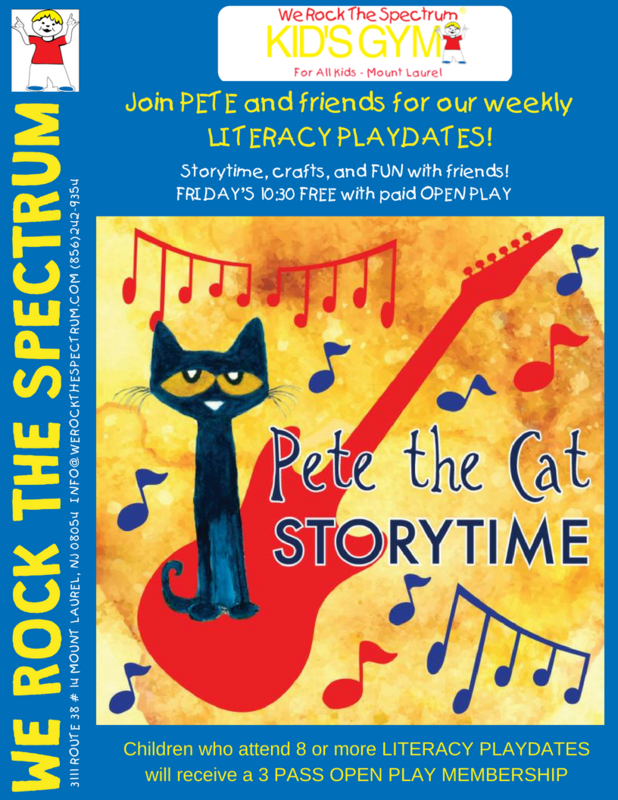 The children’s book series Pete the Cat will be read at We Rock the Spectrum – Mount Laurel every Friday this fall. For 12 weeks a new Pete the Cat book will be read and Pete the Cat will make an appearance for some extra fun. Reading will begin at 10:45 AM. This is being offered free with the price of open play admission.